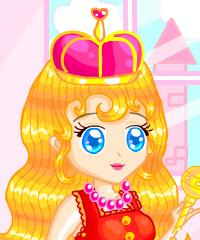 Princess Dress Up Game, this cute little Princess really like clothes that glitters and sparkles. Find the perfect clothes for this beautiful Princess in her wardrobe, she has a excellent collection of shoes to choose from. Don't forget to add a nice new hairstyle to the Princess as well. Have fun playing this glittering Girl Game.